There are a few rules when it comes to engine swaps, chief among them is that the swap must in some way improve the vehicle. 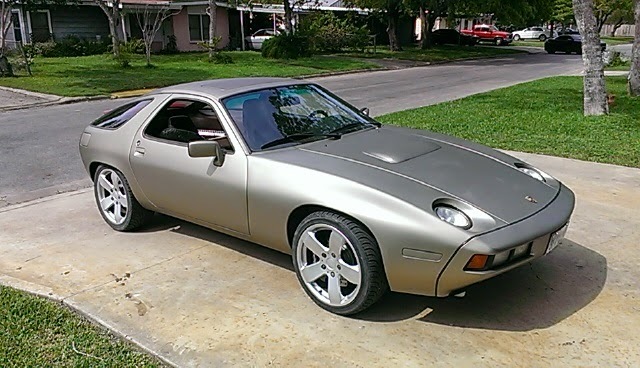 With the first generation US spec Porsche 928 there are plenty of engine swaps that will give acceleration improvements, but something like a carbureted small block Chevy is entirely too mundane. What you really need is the only V12 ever produced by Toyota shoved behind a 6-speed gearbox...that'll get the old blood flowing. 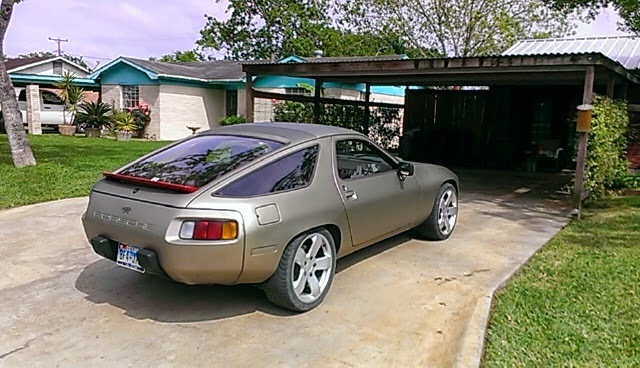 Today's reader ride is this 1982 Porsche 928 with Toyota 1GZ-FE V12 and Corvette 6-speed manual transaxle built by Jeff Mauldin (aka Dinsdale Piranha) in a shed behind a church. This thing is like the ultimate demonstration of Axis power dominance -- the curved lines and purposeful shape from Wolfgang Möbius of Porsche powered by the only V12 to ever come from the land of the rising sun. Technically, the Kawasaki Ha40 was a Japanese V12 aircraft engine used in World War II fighter planes, but it was based on a Daimler-Benz DB601 -- so let's just stop nit picking and call the 1GZ-FE the only Japanese V12 produced for a production automobile. The 1GZ-FE was only produced for use in the second generation JDM Toyota Century limousine and as such was rated at 276 horsepower per Japanese OEM agreement on horsepower. In truth a stock 1GZ-FE puts out something like 310 horsepower and 355 ft-lbs of torque from its dual overhead cam and VVT-i setup. 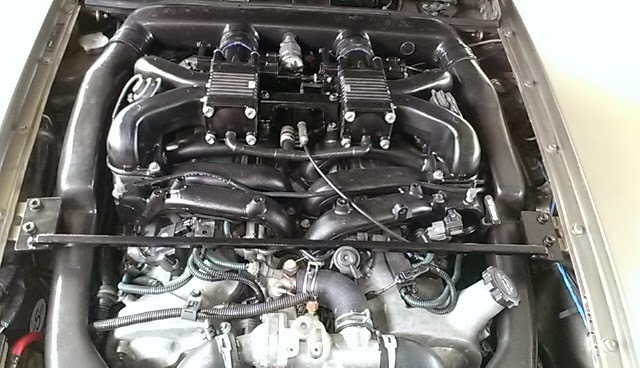 The engine management of MS3 pro is perfectly tuned now with the factory dual runner plenum in tact. An amazing feat in itself. I'm so impressed by the build that we are building another one for myself. Together with tuning wizard Scott Thompson (of Elutions Design Bureau), the three make up an internet collaboration they call Piranha Brothers Garage. Although separated by thousands of miles in the physical world, they are inextricably linked together by this Japanese powered Panzer. As far as budget, Jeff assures us this is "ultimate low budget master piece" and his "wife has every single receipt." The Piranha Brothers include a few videos of the car during tuning that was done earlier this year, but no uploaded videos of it cruising down the street or drifting past an apex just yet. When asked is it for sale, Jeff replied "Everythings for sale." 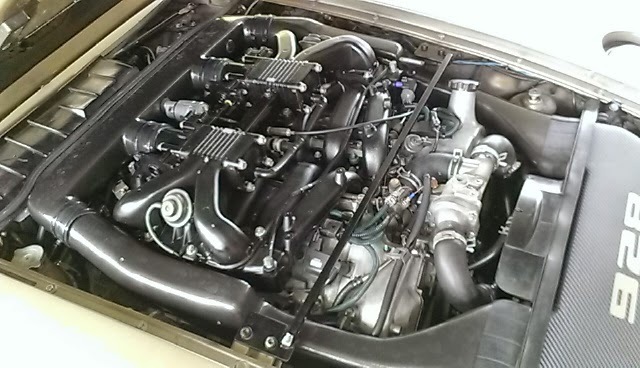 If you want to read more about the build of the world's only Toyota V12 powered Porsche 928, head over to this Rennlist forum post. Big thanks to Jeff, Scott, and Rob for the details on this car. Got your own ride and want to share? Send us some pics. You can just free form your words, or follow this questionaire. Year / Make / Model / Trim ? What do you use it for (commute, fun, racing...etc)? Is it stock or modified? If modified, please list some modifications. What was the most memorable day in your car (proposed to wife, 3rd child born in back seat...etc)? What was the most catastrophic failure of parts/components? What makes you want to keep owning this car? Will you ever sell it? Since when is it April 1 again? Gotta go classic on this one. Warning: language. Bravo. This is really fantastic. I salute the dementia that inspired such a swap and the incredible talent and perseverance to bring it to completion. Very cool. 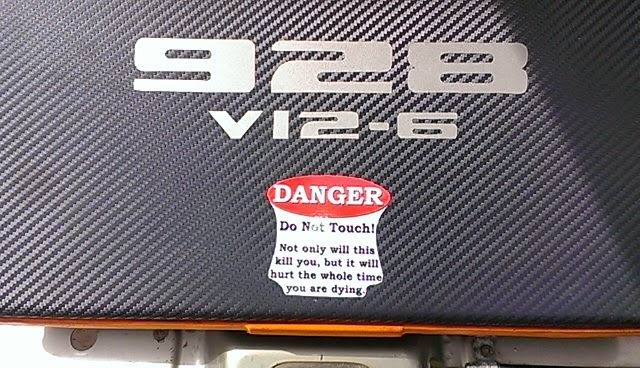 I had no idea that Toyota made a V-12. OT: Paul Allen has his collection of Warbirds just a few miles north of Seattle. He has a BF109 with the Daimler V-12 in it that actually flies (i think it might be the only one flying with its original German engine). I've been lucky enough to see it a couple of times. It has a sound much different than the Merlin or Allison V-12's. BTW the other plane in the video is his FW190. I think it is the only one that flies with its original BMW radial. Thanks for posting that video, Gianni. I've had the privilege of sharing the pattern with that very aircraft. It's rather disconcerting shooting an approach in a Cessna 172 (often referred to as the Volkswagen of the skies) with 12 cylinders of Nazi warbird bearing down on you! BTW, notice where the exhaust ports are in relation to the prop hub? In an attempt to lower the center of gravity the engine is mounted upside down. I'm not exaggerating when I say this is one of the most interesting engine swaps I have ever seen. That's why we built it. Porsche nor GM will ever build a combo like this in a lightweight GT. Speaking of lightweight... ever taken this 928 to the CAT scales at your local truck stop to see what it weighs and what the distro is f/r? This is wild, and yet civilized all at the same time. How is performance? If you've answered those questions @Rennlist I can't see it b/c work blocks message boards (but not DT!). 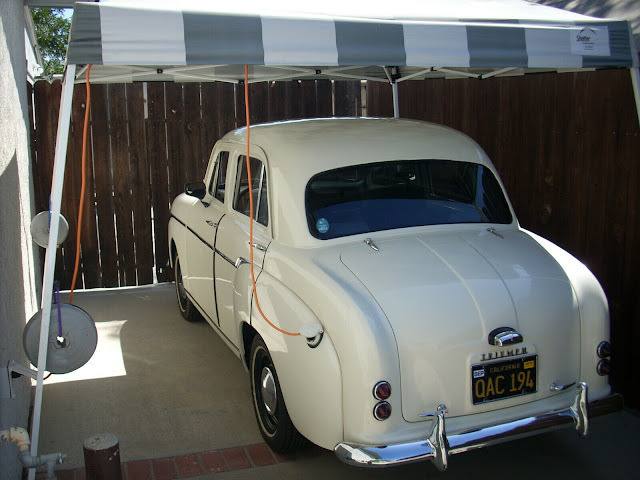 Jeff built this one as a daily driver with AC and even pulse-width modulation of power steering where it kicks off on freeway sailing. Not to mention the full functioning VVTi of the V12 locomotive. Also a big thank you also goes out to Vince for the great write-up. DT is first class. This is a really special build, commendable on so many levels yet still down to earth, way to go! This car makes any one of my car projects look remedial. All it needs now is quad turbos! Skill, imagination, and attention to detail. Just wow. Too much fun, I say.